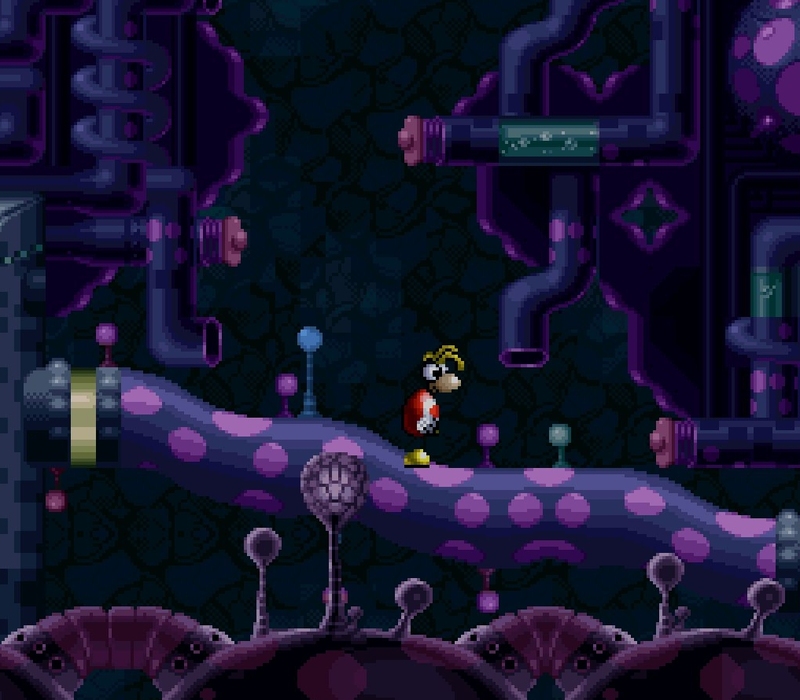 Michel Ancel late last year revealed that he’d come across an early prototype of a Rayman game for the Super Nintendo. The unfinished game, which was never released and thought to have been lost forever, had sat dormant for nearly 25 years. Ancel at the time suggested that they might release the game on Nintendo’s hybrid Switch console but now, we’ve learned that it has been made available online to anyone that wants it. Omar Cornut, a game developer who runs SMS Power, tells Kotaku that he reached out to Ancel who kindly let him borrow the cartridge to dump it. Cornut then uploaded the prototype to Dropbox where it’s available for anyone to download and play. The game can reportedly be played with most SNES emulators. While both beautiful and historically significant, it’s worth noting that the prototype is far from a completed game. In fact, it is only 1MB in size and contains one static area of a level with no enemies or items. Players can, however, jump and there are a few other character animations, we're told. Cornut doesn’t dismiss the possibility that the ROM contains some secrets that homebrew hackers may be able to discover. Cornut runs a website called SMS Power that’s dedicated to the preservation of classic video games (mostly Sega stuff). He contends that the intention here is preservation, not to be malicious or commercially harm anyone.